Detail in Contemporary Staircase Design provides a revealing insight into this most sculptural of architectural elements. Featuring many of the world's most highly acclaimed architects, as well as emerging practitioners, the book presents 40 recently completed staircase designs, found in homes, galleries, shops, hotels, public buildings and offices across the world. 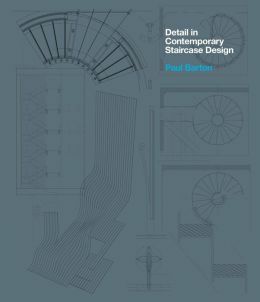 These ingenious projects, ranging from the austerely minimal to the ornate and eclectic, are presented with a concise descriptive text, colour photographs and specially drawn scale plans, sections and construction details. London, 2014, 29 x 25 cm, illustrated, 192pp, hardback.